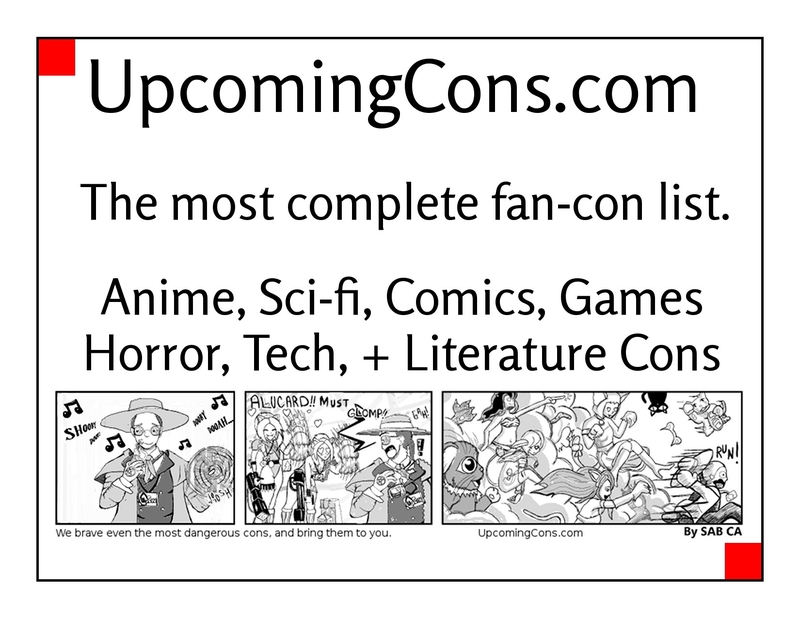 UpcomingCons is the largest and most-complete convention fan resource on the internet, and partnering with our website is an excellent opportunity to connect with fans who are already looking for conventions to attend. Investing in advertising with UpcomingCons is smarter than any other level of targeted advertisements, because people on our website are already interested in attending events like yours. We include hundreds of anime cons, sci-fi conventions, game conventions, comic book conventions, horror cons, and technology events, and thousands of people visit our website every month. We attend conventions at least once a month, taking pictures and sharing our website further, so we're always reaching new fans. For $5 per day, events can advertise on UpcomingCons. For $500, events can sponsor our homepage with an advertisement featured in the news items, and ads will also be included in priority rotation next to convention lists. In addition, they will receive a premium listing - which appears bold in search results and on the listing page. Conventions can get free advertising if they put this half page ad in their program book, and in exchange we will offer them ad-rotation next to convention listings (468x60 jpg imag) for 30 days. Minimum of 750 copies of your program must be printed. You can contact us for all the information you need! News worthy press releases, convention listings, user profiles, and many of our other useful features will always be free on our website.